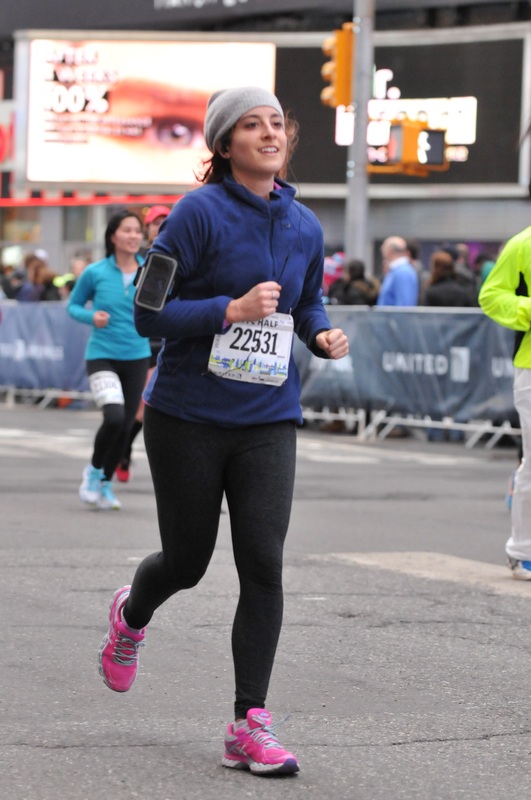 Definitely the happiest runner at the #NYCHalfMarathon Go @jennalaurenzo ! After the Philadelphia half marathon, my fiancé entered us into the lottery for NYC’s half marathon. Well, I got picked. Solo. Running through Times Square was an amazing experience. The lights, the cheering people – it’s all a bundle of inspiration that ignites the spirit to push further. I hope to do a full marathon one day. I can’t help celebrating life recalling that memory. While the experience was scary, I wouldn’t trade having faced fear head on. The reality is, we create so much drama for ourselves. But having been on a ship that near capsized, it helps keep the “drama” in perspective. Thank you Semester at Sea for teaching me what “high stakes” really means. I try to keep life grounded, and bring the high stakes to my writing. It’s a worthwhile challenge. Within the year I got engaged, bought a condo, met Radhanath Swami a handful of times, studied with my yoga teacher, lived in a LA for a few months, developed a stint of Alopecia (what?! ), grew that hair back, blamed LA for the hair loss, got over that, wrote a ton, and ran two half marathons with a lot to reflect on. The second of which I never stopped running. Those neon pink shoes kept a continuous pace pounding the pavement for 13.1 miles. It was a personal victory. As all trial, tribulation, success and triumph should be. We all have our own mountain to climb. Fulfillment lies in the ability to bring our personal peak performance inspired by experiences and people who teach us along the way. #NYCHalfMarathon inspiration from @aineod8 #SavasanaTime. I couldn’t help but smile through the race. Gratitude inspired each step. It’s been a hell of a year and I knew pancakes awaited me after the finish line. ‘Tis the season! Being just a few weeks before Christmas and after Thanksgiving, I can’t help but fixate on giving thanks. The word play is killing me – my ego that is. 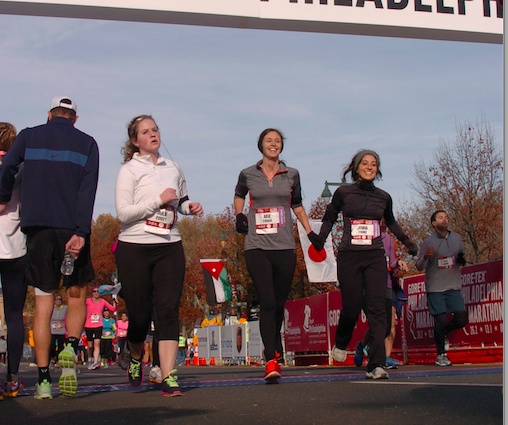 After training for and running the Philadelphia half marathon I came to three realizations: 1. I could finish 2. I want to run a full marathon 3. When left to run for long periods of time I was struck by how often my mental state went negative when the running got difficult. Life is just a series of hills and plateaus. Without the challenges we’d grow complacent. Challenges give us the opportunity to transform – the only way to overcome a challenge is to go through it and within that journey is a personal transformation. I was deeply inspired by the amount of people out in the streets cheering – mostly for the folk running the full marathon, but hey I’ll take it. With our names pinned to our shirts, I got a few personal cheers. And let me tell you – those cheers from perfect strangers meant the world. I never knew just how powerful encouragement was until that run. With that giving, I was eternally gratefully, and the running became about something outside myself. When my mind went into bitching mode with an approaching hill, I caught myself and remembered gratitude – for beautiful weather, for enthusiastic cheers, and for my fiancé who pushed me into this new long-distance-running-territory. My exhaustion and nagging mind fell to the wayside as I let my mental activity quite, and the presence of the moment inspire each stride with gratitude. With every journey there are challenges, but gratitude’s the sip of inspiration that can help us get to the view on the other side. Hills aren't burdens; they're invitations to great views.